The Babe Ruth Baseball and Cal Ripken programs, above all, are of, by and for youth. It especially tries to make better citizens through proper supervision of regulation competitive baseball in addition to promoting mental and physical development. In adopting rules, in establishing standards and in all planning, the primary consideration is the welfare of the participants. Parts of a bat and bat safety. How to hold the bat (off their shoulder, back elbow down and parallel to the ground). The proper stance at home plate. How to swing through, drop the bat (NOT THROW THE BAT) and run to first base. From the batting Tee: players will learn to keep their eye on the ball and follow through. Coach pitch: Players will learn to follow the ball from the pitcher’s hand to the bat. To keep their eye on the ball at all times. All the bases by location and name. To listen to base coaches. How to run to each base. Proper stance at the bag. That there is only one player to a base. To recognize and know when to advance. The parts of a baseball. How to hold a ball. To wait until the player they are throwing to is facing them and ready. To look where they are throwing and use a target. To throw overhand and follow through to their target using the “Thumb in glove, thumb to the thigh then thumb high” method. Where to stand in each position on the field. Who should get the batted ball and when. To pay attention to the play at all times, this includes when they are on the bench. To never to turn their head or back to the play. How to hold their glove correctly – fingers up for a high throw or bounce and fingers down for a low throw or ground ball. How to properly field a ball in play. To throw the ball to first base. Coaches and parents are looked upon as role models. Coaches and parents are to refrain from cursing, arguing or making negative comments about players, coaches or teams. Coaches and parents are expected to conduct themselves properly and promote good sportsmanship at all times. Coaches are to refrain from smoking in front of players. Gloating winners look as bad as sore losers. Players will not be allowed to “rub it in” when another player does not make a good play. Players must wear their uniforms (including hats) correctly at all times. Hats must face forward (not backwards, sideways or inside-out). Parents, coaches, players and spectators must abide by the “Code of Conduct” guidelines. Rain outs are left to the discretion of HYBS president. All attempts will be made to notify the league of cancelations two hours prior to game time (if possible). Coaches should inform their players and parent to visit our website. If the league has issued no notification the game will be considered on. League director will decide on make-up game dates. The league director is to be informed on a scheduled make-up so that other coaches can be advised to leave the field open. Practices can be held on our fields on the open dates on the schedule. With the size of the fields, two (2) teams should be able to share a field with one team using the outfield and the other the infield and then switching. Teams must clean up their bench area and equipment after every practice and game. No food is allowed on the benches during the game, only water bottles (or other beverage containers) are allowed. Players are not allowed to climb the fences or dugouts. Managers and Coaches are responsible for retuning all bases, training equipment to their proper locations. They will also be responsible for raking the infield and cleaning out the base mounts and inserting the base plugs after every practice and game. CONCESSION STAND RULE ADOPTED “2002" - Home team(s) must provide one PARENT to work the concession stand per home game. Parents may take shifts in order to watch some of the game. No children are allowed in the concession stand. Coaches will use the “auto-populated game roster”. 40’ base paths will be used. ​​First half of the season we will use the Batting Tee. Second half will be underhand coach pitch. Games will be 3 innings or 1.5 Hrs and always end in a tie. Each half inning will be completed after every player has batted. The last batter is announced by the coach and runs all the way to home. OUTS – They will not be called the first half of the season. During the second half if a play is made causing an out the player who is out must go back to his/her bench. There are no limits to the number of outs per inning. If there is a close play the runner is “Safe”. Home team is responsible for supplying a new ball for each game. Teams with less than (5) players at the designated game time are allowed to borrow players from the opposing team. 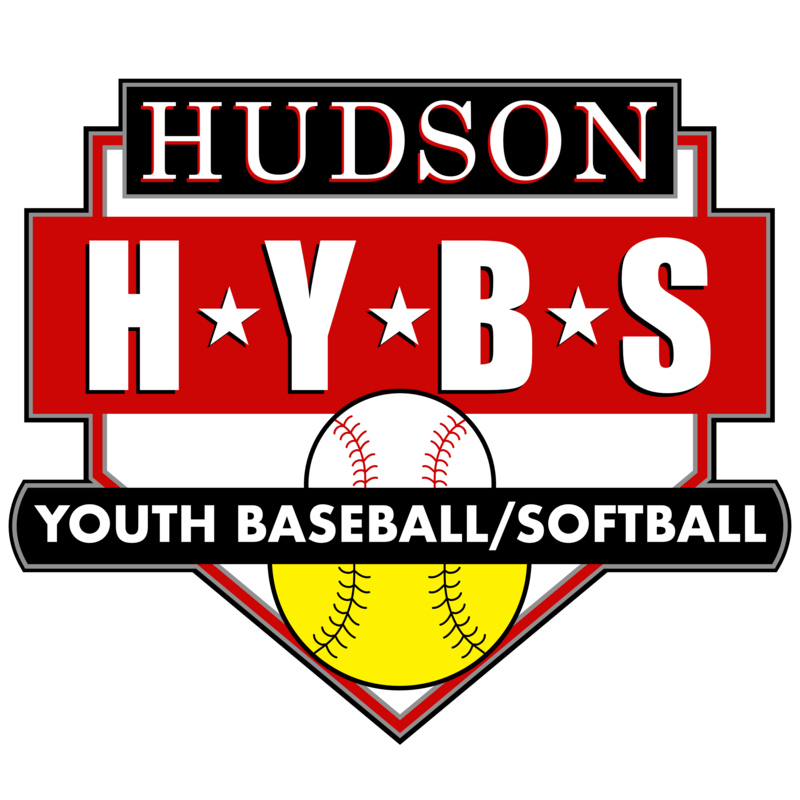 Defensive player positions are as follows: one player in each of the following positions – Pitcher (helmet), Catcher (helmet), 1st base (helmet), Second base, third base, shortstop and the remaining players play the outfield. No player should sit unless due to injury. Each player will be rotated to a different position every inning. Every player must play every position at least once during the season. As the season progresses the only exception is first base when there is significant concern for a child’s safety. Catchers can be used but must be positioned at the back stop with a coach. Catchers will stand and throw every ball back to the pitcher. It is the head coach’s responsibility to inform and instruct each base coach of his or her responsibilities before each game. A minimum of two fielding coaches will be allowed in the field to help the fielders understand their roles. All coaches are responsible for the instruction and encouragement of all players. No food is allowed on the benches during the game. Only water bottles (or other beverage containers) are allowed. No one is allowed on top of the dugouts, climbing the fences, throwing things, running around etc. Parents and coaches are responsible for the safety and well being of the players and should at all times be aware of there whereabouts. Players must be encouraged to sit on the bench when not in the field. Coaches and parents need to ensure that all players keep their hands to themselves. No roughhousing r bullying will be tolerated. Helmets are to be worn by all batters and base runners. Batting orders will change with each inning to allow every player the opportunity to bat last. All player will bat unless due to injury. Coaches of hitting teams will advise the opposition when a very strong hitter is up (mainly to prevent injuries). Only the batter will have a bat in their hands. All other players are to be seated on the bench. This is the area of greatest injury because coaches are pitching and coaching bases at this time and cannot be watching every player. Team parents are encouraged to volunteer their assistance in managing the players on the bench. Coach pitch is 5 then the Batting –T must be used. No bunting, stealing or leading (a ball must be “hit” before a runner is allowed to advance). Foul balls are any ball in foul territory, any ball that is not hit past the grassy area in front of home plate, or any ball where more of the tee was hit than the ball. A hit on the ground to the infield is limited to one base (second half- with the risk of being put out). Players may advance two bases if the ball is hit far behind the infield and not as a result of an error (second half- with the risk of being put out). There are no advancements as result of a fielding error on a hit ball. Kids should not be penalized for trying to make a play. Fielders not in the play cannot block the base paths. A player will be in the pitching position for fielding. First basemen, pitchers and catchers are required to wear helmets. Coaches will constantly check the position of fielders for proper position (outfielders have a tendency to creep into the infield) and make sure their attention is focused on the play for safety reasons. Fielders should be in the ready position before each ball is placed on the T or pitched. Players should be encouraged to stay in their position and not interfere with another player attempting to make a play. Backing up a play is to be stressed. No ball hogging. Coaches are to be in the filed too position players and to help them understand their positional responsibilities. This must be FUN so coaches must encourage all players on the field. Remember that the overall objective is to have FUN, not to create Babe Ruth’s. If they learn the fundamentals and learn to like the game, the talent will follow. 3 players from each team. Throws marked with Popsicle stick flagged with an address label with the contestant information at the point where the ball stops rolling. Contestant stands at plate with a tee and NO ball. At the “GO” signal, each contestant swings the bat, and then runs around the bases. Time measured is swinging time, getting out of the box and running around the bases. Time ends when home plate is touched.